Jump off a cliff. Slide down a mountain. Soar 20 feet above a snowy halfpipe. These are just a few of the things extreme sport athletes willingly do every day, things the average person would never consider attempting. 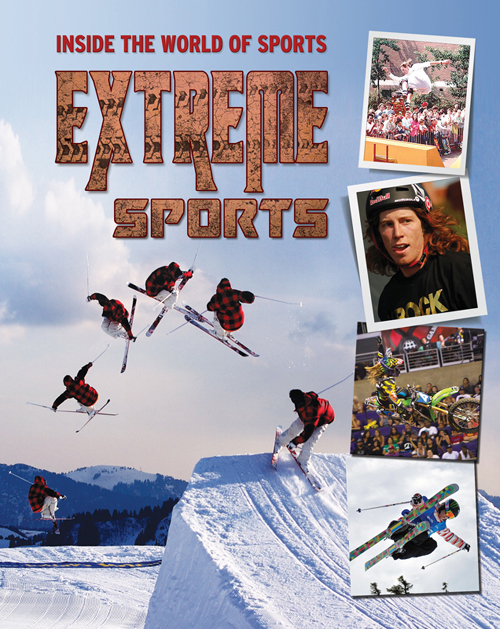 With the overwhelming success of sports network ESPN's X Games, the subculture of extreme sports became mainstream, even becoming part of the Olympic Games. American snowboarder Shaun White became not just one of the most popular extreme athletes, but one of the most popular athletes of any kind in the world when he won the gold medal in the halfpipe event at the 2006 Winter Olympics. From Snowboard Big Air to BMX Vert, and Moto X to Ski Slopestyle, extreme sports have changed the language and culture of mainstream athletics. The slacker image is gone…these athletes are the real thing.